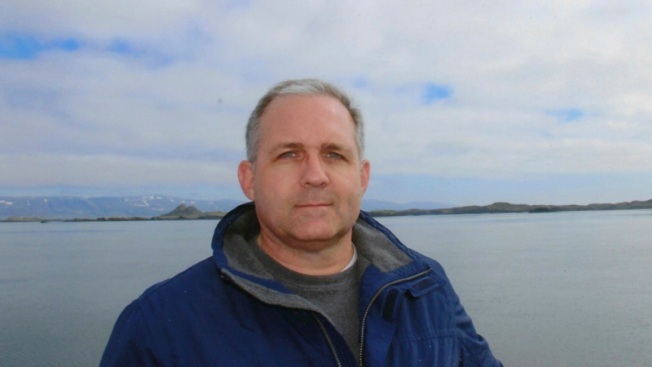 "We are deeply concerned for his safety and well-being"
This undated photo provided by the Whelan family shows Paul Whelan in Iceland. Whelan, a former U.S. Marine arrested in Russia on espionage charges, was visiting Moscow over the holidays to attend a wedding when he suddenly disappeared, his brother said Jan. 1, 2019. "We are deeply concerned for his safety and well-being," his family said in a statement that his brother David Whelan posted on Twitter. "His innocence is undoubted and we trust that his rights will be respected." The morning of his arrest, he had taken a group of wedding guests on a tour of the Kremlin museums. The last time anyone heard from him was at about 5 p.m. and then he failed to show up that evening for the wedding, his brother said. "It was extraordinarily out of character," he said. The family feared he had been mugged or was in a car accident, David Whelan said, and it was when searching the internet on Monday that he learned of the arrest. "I was looking for any stories about dead Americans in Moscow, so in a way it was better than finding out that he had died," he said. The State Department said Monday it had received formal notification from the Russian Foreign Ministry of the arrest and was pushing for consular access. David Whelan said the family was told by the U.S. Embassy in Moscow they have not been able to speak to Paul Whelan. Paul Whelan did multiple tours in Iraq with the Marine Corps, his brother said. He now lives in Novi, Michigan, and is director of global security for BorgWarner, where he has worked since early 2017. "He is responsible for overseeing security at our facilities in Auburn Hills, Michigan and at other company locations around the world," company spokeswoman Kathy Graham said in a statement. She said BorgWarner does not have any facilities in Russia. He previously worked for Kelly Services, which does maintain offices in Russia, his brother said. A Russian gun-rights activist, Maria Butina, is in U.S. custody after admitting she acted as a secret agent for the Kremlin in trying to infiltrate conservative U.S. political groups as Donald Trump was seeking the presidency. She pleaded guilty in December to a conspiracy charge as part of a deal with federal prosecutors. Tom Krisher contributed to this report.